Blurb Description: Where society’s elite go to explore their darkest desires. And where promises of freedom are just manipulative lies. I decided to be on the Vanquished tour because this sounded so different - so much more grittier - than any of the books I've been reading and I thought it would make for a nice change it my reading palette. Valoria awakens to find she has been kidnapped and being taken to be auctioned off to the highest bidder. She doesn't care about herself, though, only about her little sister. She's transported to a private island. This island, though, it's not a normal one. Or a sunshine-y one. For a price, the rich and the powerful can get make thier darkest desires a reality. There are human hunts, ancient times cosplay and gladiator style fights. Valoria finds herself fighting to the death to try to buy her freedom off the island and save her sister. 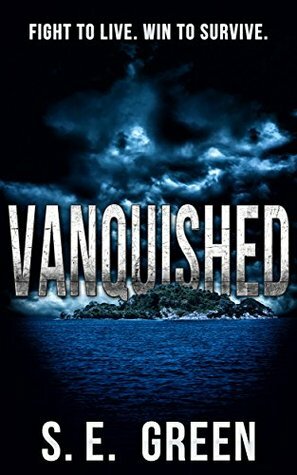 Even without a warning, I knew Vanquished would have been a novel for mature readers, but I decided to give it a try anyway. So different from what I usually read, I know! I am a little glad though, that while it was dark, and took human trafficking and sadistic tendencies to a whole new level, things were mentioned but not overly described, which might have made it a bit too dark. What it really could have used to help the story out though was a bit better world building within the story. There was no real description about the island, and I was pretty much left to my own imagination, something that's not very great in sort of dystopian novels. 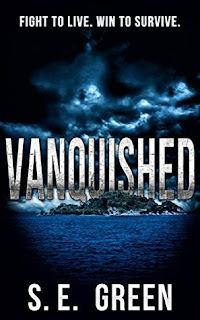 Vanquished, however, is an action packed from start to finish and did really like it. This tour is hosted by Xpresso Book Tours.